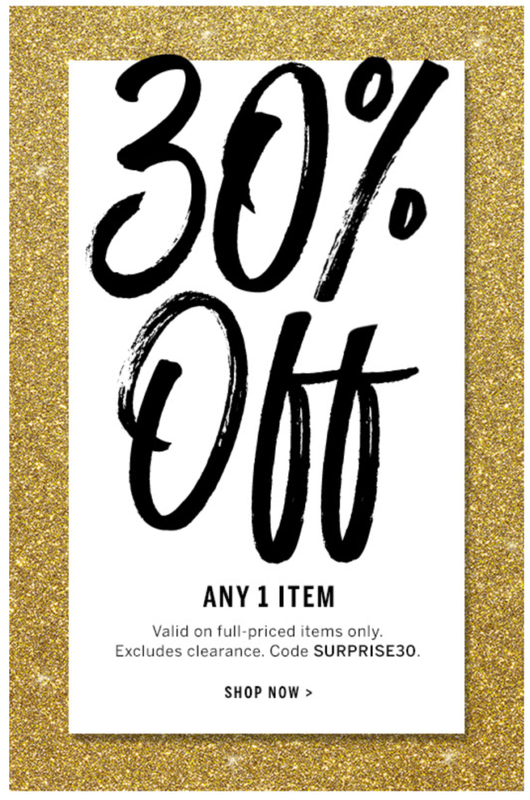 Victoria's Secret - 30% off a single item! Here's a special exclusive for Victoria's Secret fans! Enjoy 30% off any 1 item. This is valid on full-priced items only, and excludes clearance. Simply use the code SURPRISE30.